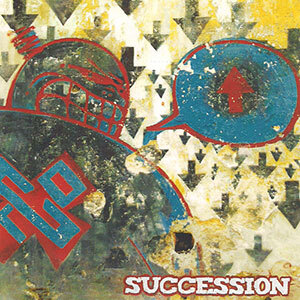 Straight outta muthafuckin’ Hotlanta is The Carry-Ons with their brand new rocker, “Succession”, and boy let me tell you what: Succession brings it in a whole lot of directions. Musically The Carry-Ons are a blend of rock and punk with more emphasis on the punk. The songs are mid to upper mid tempo jobs that all feel pretty solid. They big draw though is the range. In addition to a great level of dynamics in the music, the song styles and vocals range between influences like AFI, Gogol Bordello, Meatloaf, Millencolin and a track that could damn well be a Street Dogs cover. I’d say they got the musical ground pretty well covered. The CD offers 12 tracks ranging from around a minute to just over four, ya know, for the ballad lovers out there. The epic track length aside, I’ve been rolling this disc in my car for a while now and the more I listen, the more I like. Bottom line is this, branch out from your radio-rock douchbaggery and hit some new tunes with The Carry-Ons new CD Succession. I triple dog dare you.